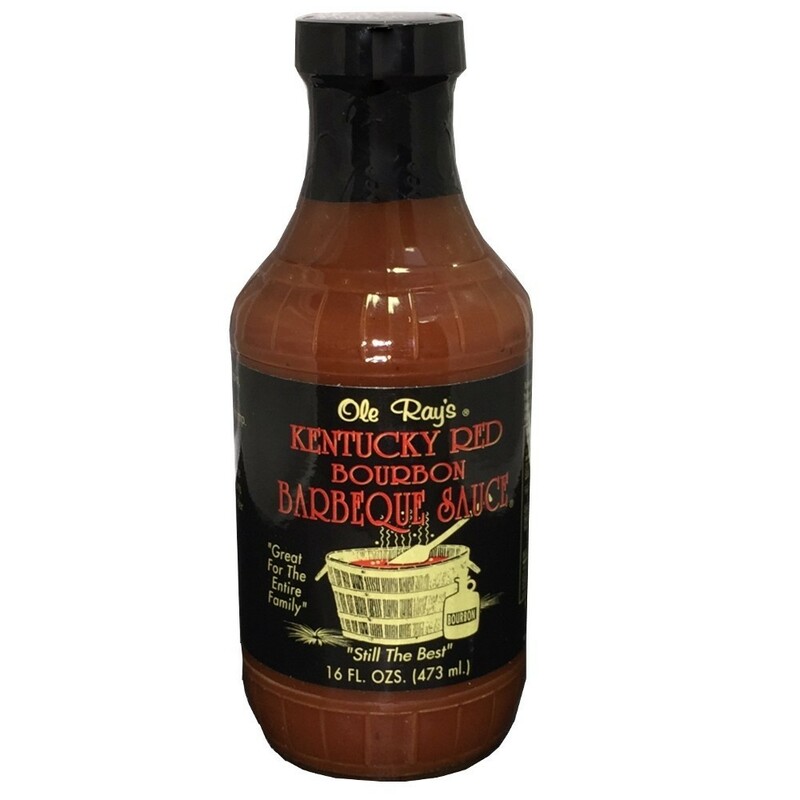 Ole Ray's Kentucky Red Bourbon BBQ Sauce - Kentucky Red Bourbon is a mild, rich tomato based BBQ sauce with a hint of bourbon. 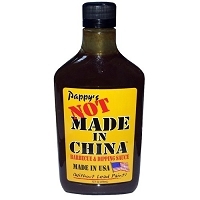 Kids love it on burgers, fries, and chicken nuggets. Great for the entire family. 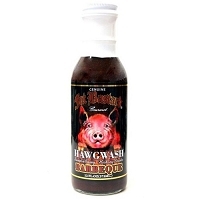 Great on steaks, ribs, chops, chicken, and shrimp. 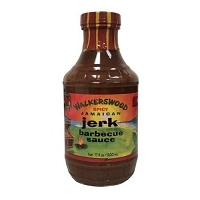 For a great marinade or mopping sauce mix equal parts with apple cider vinegar. 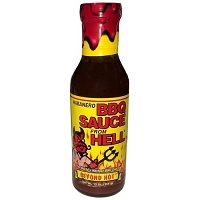 Ingredients: Tomatoes, sugar, apple cider vinegar, yellow mustard, bourbon, lemon juice, liquid smoke, corn syrup, molasses, Cayenne pepper, caramel and spices.